After a long, cold winter, the City has experienced more potholes than usual. We need your help getting them reported and filled. If you come across a pothole, it’s easier than ever to report it using Hilliard 311. Residents can use the online portal to upload a photo or video of the pothole and mark the geographic location on a map. Those who prefer to call can reach the Hilliard 311 phone line at 614-876-7361 ext. 311. 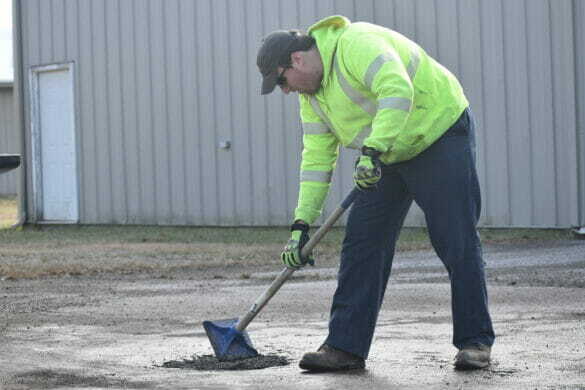 City crews patch potholes on 12 square miles of city streets. Small potholes or those that need to be repaired when the temperature is below freezing are filled with a temporary cold mix while large potholes are repaired with a more permanent stone mix spray.